Breaking News. And Personally, I Think Anderson Cooper Is An IPA Guy. Devils Backbone Sneak Preview Event at Blue 5 Recap! Swamp Creatures Step Aside, Here’s A Real Save The Day Van. Posted in Brewpubs, Breweries & Craft Beer Stores. Devils Backbone Introduction Dates Announced For Roanoke Area! Posted in Brewpubs, Breweries & Craft Beer Stores., Events. 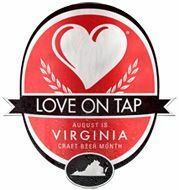 Come Out And Wish A Happy Anniversary To One Of Virginia’s Own.